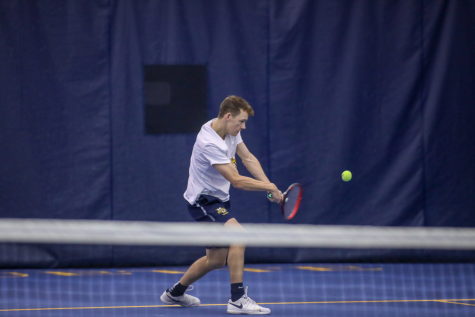 The Marquette men’s and women’s tennis teams dominated the courts of Helfaer Tennis Stadium this weekend. The men started off the weekend by taking down Green Bay in a 5-2 victory Friday. 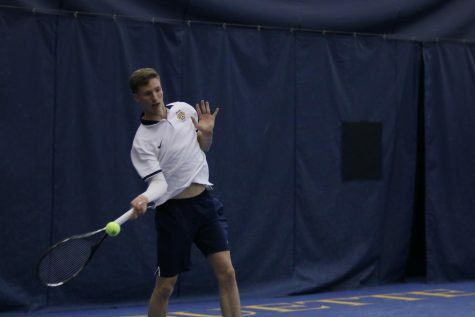 First doubles partners senior Dan Mamalat and junior Vukasin Teofanovic started off the match with a win. 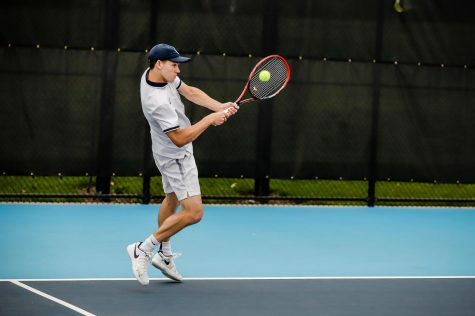 Third doubles team freshman Nick Dykema and junior Cameron Tehrani followed with another win putting Marquette up one. Dykema, Tehrani and freshman Kristiyan Trukov won at No. 4, No. 5 and No. 6 singles, respectively. 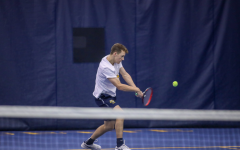 Mamalat clinched the win for Marquette at first singles in a decisive 6-2, 7-5 win over Green Bay’s Michael Tenzer. 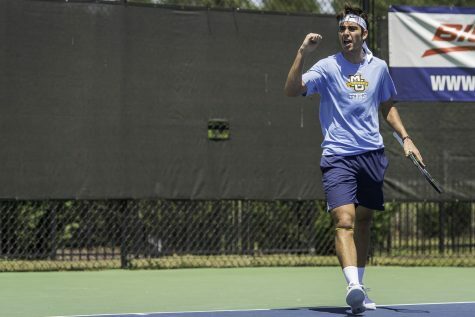 Xavier was the men’s next opponent of the weekend. 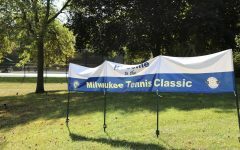 Xavier narrowly won the doubles point, winning first doubles 8-6 and third doubles 8-7. 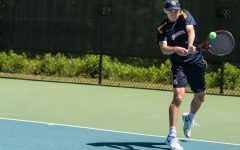 Despite the early setback, Marquette rallied in singles play for the win. Dykema (No. 4 singles) and Tehrani (No. 5 singles) brought in two quick points with easy wins. 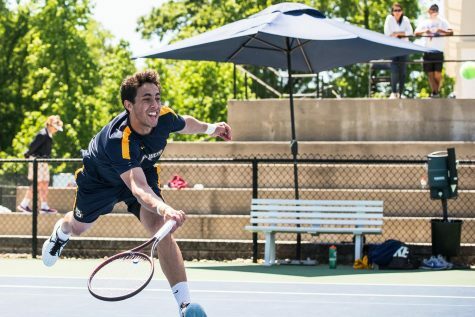 Teofanovic won at second singles, but it was Mamalat who decided the match again by winning the last point for Marquette in first singles. 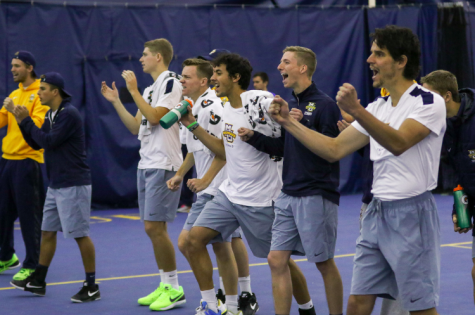 The men improved their home record to 9-0 and only have three more matches until the Big East championship. 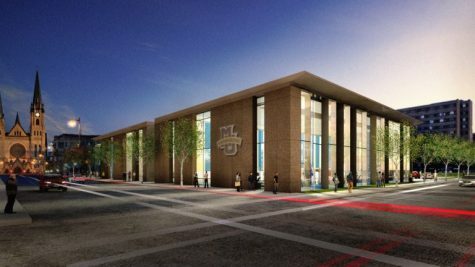 Their next match is April 12 against DePaul in Chicago. The women took on Xavier a few hours before the men and also came away with a 4-3 victory. 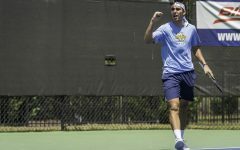 They won at second and third doubles giving them the advantage to start the match. Junior Ali Dawson (No. 3 singles), junior Vanessa Foltinger (No. 4 singles) and sophomore Aina Hernandez Soler (No. 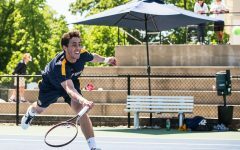 6 singles) all won their singles matches and brought in the win for Marquette. 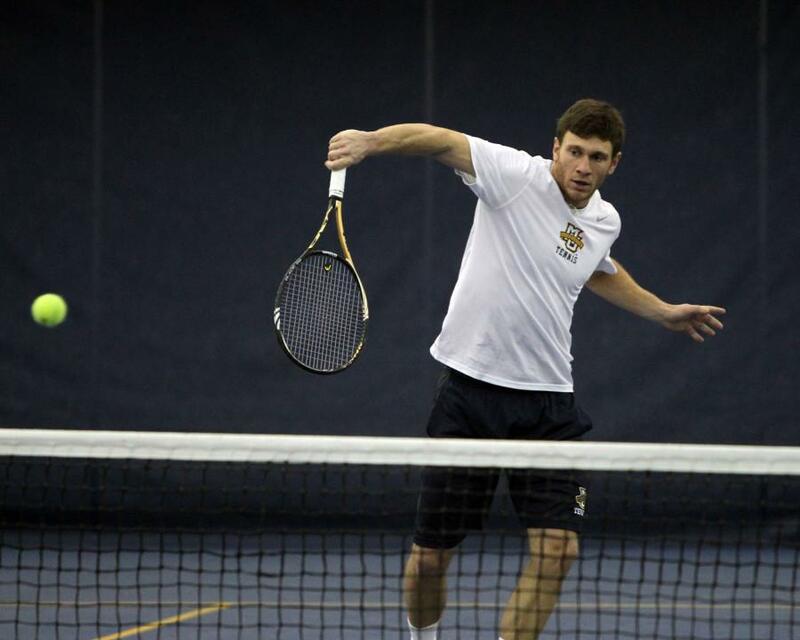 The Golden Eagles then swept conference rival Butler 7-0 on Sunday. 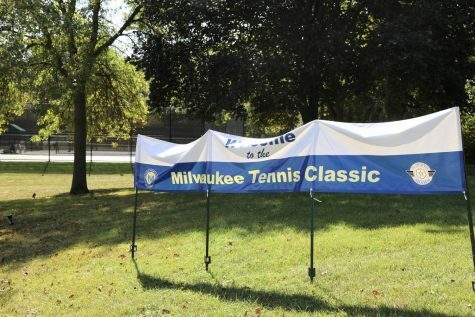 First doubles sophomore Erin Gebes and senior Rocio Diaz, second doubles Dawson and sophomore Laia Hernandez Soler and third doubles Aina Hernandez Soler and junior Ana Pimienta swept the doubles competition and only dropped five games across all courts. 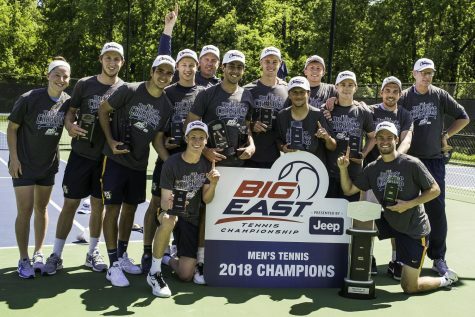 Marquette’s singles play was equally as impressive, as the team won every single court. The winners, in order, were Pimienta, Dawson, Foltinger, Gebes, Aina Hernandez Soler and sophomore Aleeza Kanner. The women will travel to Arkansas State April 4 to take on the Red Wolves.